The United States Golf Association and the Royal and Ancient announced November 16 the publication of dozens of new Decisions on the Rules of Golf, along with several revisions to the prior edition. The Decisions supplement the basic rules that the two major golf organizations oversee and apply to the important amateur competitions they run, along with the British Open and United States Open championships. The Rules also provide the framework for competitive golf throughout the professional and amateur ranks. The scope of these Decisions can be a bit daunting for the uninitiated. The full set of Decisions includes 1,200 entries, most written in a question and answer format, each tied to specific situations that may come up during a competition. The current crop includes 28 new Decisions, 51 revisions to the previous set, and one withdrawn Decision from the prior collection. The new changes go into effect January 1, 2010. Some of these new Decisions are a bit startling. Q. In a match, A requests B to lift B’s ball that is on A’s line of play. B refuses to do so. What is the ruling? A. In equity (Rule 1-4), B loses the hole for failing to comply with A’s request to lift his ball under Rule 22-2. I suggest that Player A will also find ways to avoid golfing with Player B in the future, if at all possible. Q. A player’s ball lies on an artificially surfaced path. The player determines his nearest point of relief and measures the one club length in which the ball may be dropped under Rule 24-2b. As the player is concerned that the ball, when dropped, may roll into an unplayable lie, he takes a ball from his bag and drops it in the area to test where his original ball may roll to if he elects to take relief from the path. He did not intend to put the second ball into play. What is the ruling? A. As the player had no intention of putting the dropped ball into play, that ball did not become the ball in play, and his original ball on the path remained the ball in play. However, it is contrary to the purpose and spirit of the Rules for a player to test what may happen when he drops his ball. Therefore, in equity (Rule 1-4), the player incurs a penalty of loss of hole in match play or two strokes in stroke play. In stroke play, the player may play the original ball as it lies on the path or take relief under Rule 24-2. 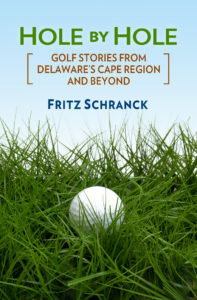 The new Decisions are well worth reading for the insight they provide into the ingenuity of fierce golfing competitors, as well as the USGA and R&A They are available online at usga.org. My personal favorite golf rule comes into play frequently at this time of year—and it’s not an official Rule of Golf. I refer to the Leaf Rule. The official golf season in the Cape Region ends just as the leaves begin to fall, and that’s probably a good thing. I can well imagine tournament golfers going a little bit crazy when their golf balls dive into a pile of freshly fallen maple leaves lying only a few feet from the fairway. Under the official Rules of Golf, after a fruitless search for five minutes among the debris, the hapless golfer is forced to take a stroke and distance penalty, go back to the spot where he made the prior shot, and hope the next ball doesn’t dive among the leaves once again. The extra strokes certainly don’t lighten the mood, either. In unofficial golf, however, leaves are far less threatening to one’s psyche. After an appropriate knocking around for a bit looking for the ball, the golfer drops a new ball near the spot where he’s sure the original ball ended up, and plays on without penalty. That’s a much saner approach to enjoying an off-season round, don’t you think?